CEO Stephen Kavanagh has rejected claims the airline is trying to oust legacy-contract holders. AER LINGUS IS ditching its current flight simulator for training pilots and is pumping millions of euro into a new facility near Dublin Airport. Chief executive Stephen Kavanagh confirmed that the IAG-owned carrier is disposing of its existing flight simulator as part of an investment in a 4,500 sq m flight and cabin crew training facility. However, it’s unclear what impact the move will have on a handful of workers employed at an existing simulator in Dublin. “We are establishing and investing in a new, bespoke Aer Lingus training facility which will be purpose-built close to the airport facility,” Kavanagh told Fora. Kavanagh confirmed that the simulator will be “delivered by a third-party” company but insisted it will be staffed by Aer Lingus workers. It has been suggested that six highly skilled employees with favourable, long-standing contracts were offered to move to the third-party company or accept redundancy – a claim the airline has denied. In response to follow-up queries from Fora, the airline said the matter of how the new facility will impact staff working in the current simulator area was “a matter for any future consultation, however, we can state that there will be no forced redundancies as a result of any change”. The training space will feature full flight simulators, a cabin crew training simulator and other crew training equipment. Aer Lingus is planning to make a “multimillion-euro investment” in the facility, details of which will be announced over the coming months. Around 30 Aer Lingus pilots, 20 cabin crew trainers and 10 full-time support and leadership staff will work at the facility. A number of changes have occurred in recent months at Aer Lingus. In February, the airline was accused of trying to “overhaul and decimate” legacy contracts with long-serving staff after the carrier moved customer complaints jobs from Dublin to the US. It also set in motion plans to potentially move dozens of IT jobs away from Dublin and offshore. The airline was brought before the WRC in May over a decision to enlist a third-party firm to handle the return of items lost on aircraft and in its Dublin Airport lounge. More recently, it faced a trade union showdown following calls from staff for it roll out a profit-sharing scheme following a pay deal negotiated last year, but Workplace Relations Commission talks reportedly ended in a deadlock. There are concerns inside the company that Aer Lingus is trying to cull so-called legacy contracts that were negotiated with the company long before it was sold to British Airways owner IAG in 2015. 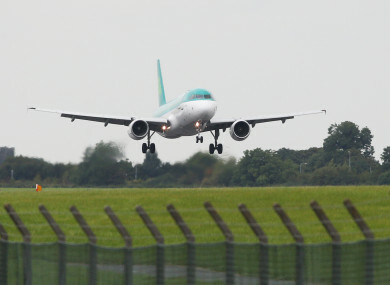 Aer Lingus has also come under fire in recent times for its handling of customer complaints and queries. Several passengers have vented online about lengthy response times from the company’s guest relations unit, which is now based in the US. Kavanagh said the company has “work to do in that area and it will continue to be a focus area … it is something that over time we will resolve”. Email “Aer Lingus is building a multimillion-euro training centre - but some staff's future is unclear ”. Feedback on “Aer Lingus is building a multimillion-euro training centre - but some staff's future is unclear ”.